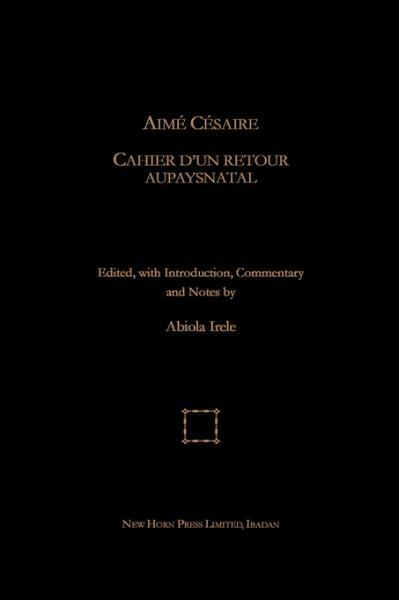 Aime Cesaire’s long poem, Cahier d’un retour au pays natal, is noted as much for its formidable difficulty as for its rare power of poetic expression. In preparing this edition, the distinguished literary critic, Abiola Irele, had in mind primarily the needs of English-speaking university students of French. He provides a guide for a meaningful reading of the poem, and to this end he elucidates many points, so as to make the poem comprehensible, both in relation to its objective historical reference and within the framework of its individual poetic idiom. The main aim has been to make clear the inner workings of the poem which contribute to its essential tension. In the first section, the text of the poem stands on its own; and in the second section, the text is broken up into its constituent stanzas, with each accompanied by a commentary and followed by a series of notes on references, allusions and points of stylistic interest arising from the text.